Day two at Chatsworth all went to plan, and Little Fire had a very happy day doing his first Advanced. He jumped an excellent clear show jumping and held onto his lead, I was very pleased with how he coped with the big atmosphere, and even though he was quite distracted he very much kept his good jump. There was nothing on the cross country that particularly worried me for him, but it was all certainly a lot bigger than he has been used to. He was very excited by all the razzamatazz but he really focused at the fences and it felt like he was going around a normal Intermediate. I took him all the direct routes but I had no interest in taking him fast so he got 19 time faults and moved down the order to 9th. I could not have been happier with how he felt and overall it was a Chatsworth that could not have gone much better. The ERM class went very well and it was a terrific win for Gemma Tattersall and her Olympic ride Quicklook, who was looking back to her best. 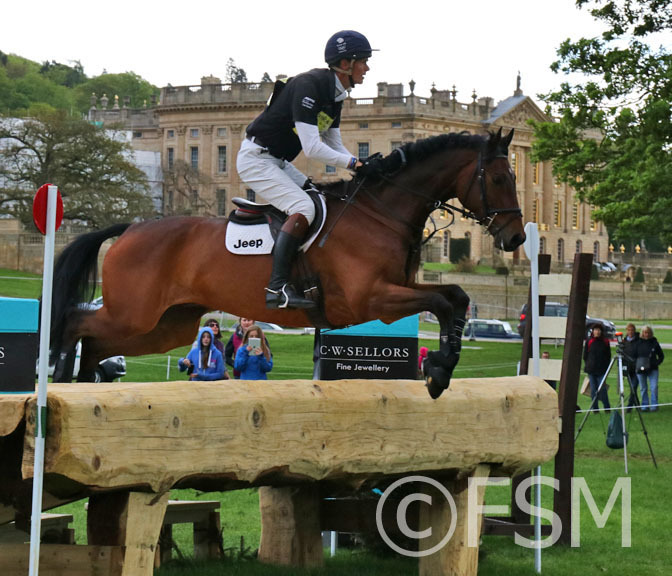 Bettina Hoy would also have been delighted to have finished 2nd, and third was Thomas Carlisle, who was very unlucky to incur a stop and a few time faults in the show jumping meaning he lost his lead.